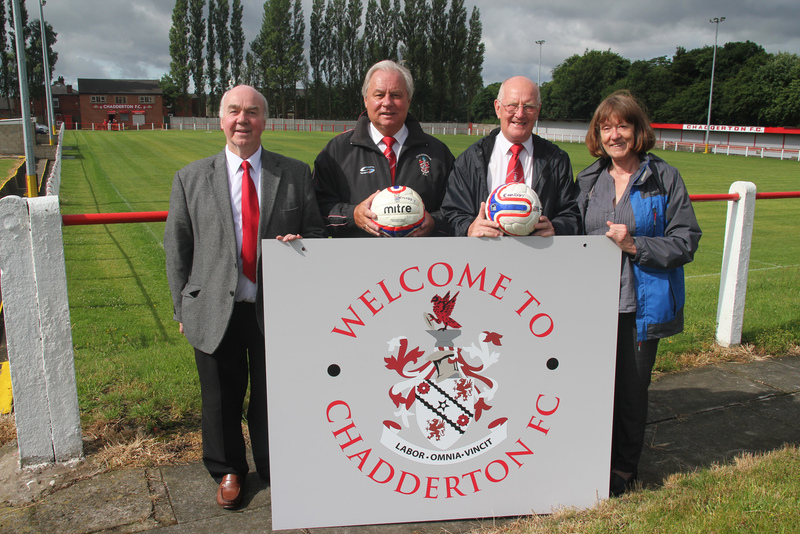 An historic move has been made for Chadderton Football Club after an agreement was reached with Oldham Council to secure a new 35-year lease on their current home. The local authority has been working hard with the club to make this happen as it believes the club plays an important role in the community and will continue to do so. The club, based at the Broadway Stadium, say this deal has brought stability and security – as well as an opportunity to progress its numerous squads and support the community. Chadderton FC, which historically had former England captain David Platt, former Crystal Palace and Leeds United player John Pemberton and even Take That’s Mark Owen famously donning the red shirt, will hope this new agreement can attract future stars to the North West Counties club which has been in the area since 1946. Councillor Barbara Brownridge, Cabinet Member for Neighbourhoods and Cooperatives, said: “We know the important role that sporting clubs play in our communities around the borough and Chadderton FC are fantastic ambassadors for its own area and neighbouring districts. Bob Sopel, Chairman of Chadderton FC, said: “We’re delighted with this lease which has now given us the confidence to move the club forward and improve our facilities. “The committee have worked their socks off and the club has already spent money on improving our clubhouse, pitch, drainage,the stand and fencing around an area where we had trouble with anti-social behaviour – but this lease now enables us to build on our foundations and it safeguards the club’s future for generations to come.